Posted by Jess on 23/10/2018. What a month we’ve had! After winning the Crumbs’ Award for Best Kitchen and Interiors we were also announced as a finalist in three other awards. The Bath Property Awards and now the Bath Business Awards and Made in the South West awards – organised by Insider Media. 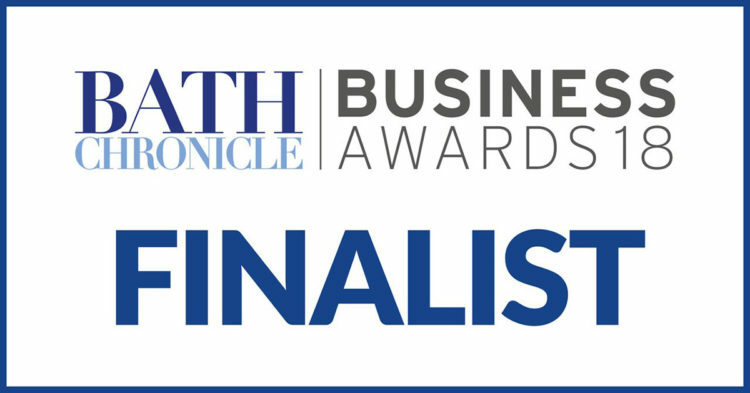 The Bath Chronicle Business Awards celebrate business success across the city and surrounding areas. We’ve been announced as a finalist in the Creative Sector Business of the Year—which is a great achievement. The awards cover a range of sectors and industries across Bath and it’s fantastic to be highlighted as one of the best companies in the city. The awards culminate in a black tie awards gala in the Bath Pavilion on 27 November, which brings together some of the city’s best companies. Made in the South West celebrates the best makers and manufacturers across Gloucester, Somerset, Devon and Cornwall. Winners of these awards then go on to the Made in the UK awards which is one of the most prestigious manufacturing awards in the country—celebrating the very best makers in the UK. Protecting the environment is really important to us, and influences all of our decisions here at Bath Bespoke. So it’s great that we’ve been acknowledged for this commitment, having been announced as a finalist in the Sustainable/Ethical Manufacturer category. Make sure to follow us on Instagram and Facebook for all of our latest news and project updates. We’ll be keeping you informed about the events—wish us luck!